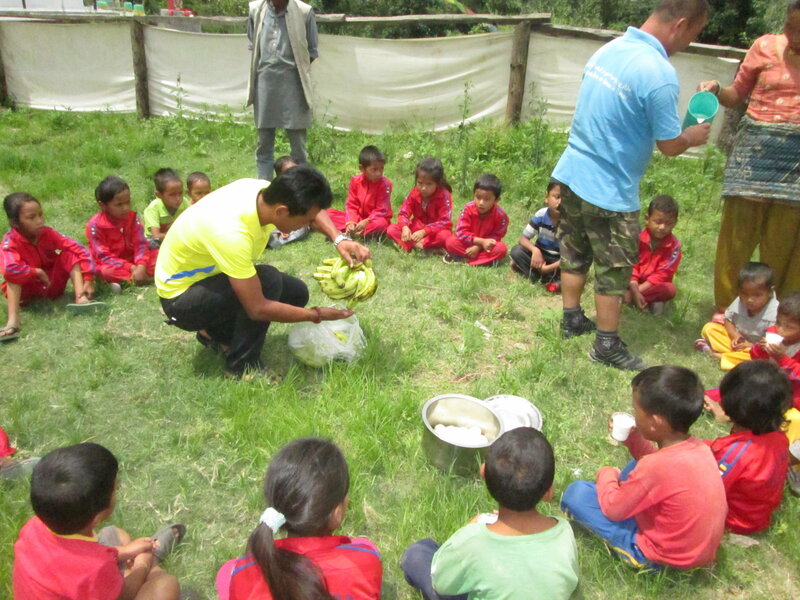 Another major social initiative of Nepal Public Health Foundation is the Namobuddha Nutrition Program. This program was initiated under the Chairmanship of Dr. Mahesh K Maskey in order to make the residents of Namobuddha independent and provide proper nutritious diet to their childrens. Under this program, the people of Namobuddha are provided with a certain amount of land and capital to start animal husbandary. The milk and eggs obtained from it are fed to the school childrens and the manure are used for agriculture. This project not only provides the children with proper nutritious diet but also provides a sustainable platform to the residents of Namobuddha.